It appears that this censorship came as a result of pressure from the Israeli lobby. We are concerned that giving in to such pressure supports the undermining of basic trade union rights, and that if not challenged it could reinforce the belief of outside bodies and vested interest groups that they can bring about the suppression of our democratic rights. This includes the right to express solidarity with oppressed workers in any state or in any region of the world. 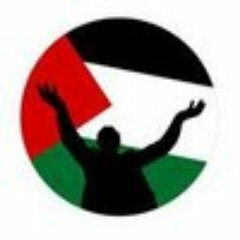 We are further concerned by the public statements made by the GEW suggesting that it may have been “anti-Semitic” or “a mistake” to present information about Israel’s oppressive policies against Palestinians and the BDS movement, and hence it was necessary to block the dissemination of the magazine. Such misrepresentations prevent an informed debate presenting the realities under which the Palestinian people live from taking place. Individuals, trade unions and civil society groups have the right under international law to organise, the right to protest and the right to free speech. It is a matter of profound concern when any progressive organisation bows to pressure from the lobby groups of those perpetrating the very human rights abuses that people of conscience like Mr. Glanz and many others are campaigning against. In the process, unintentionally or otherwise, this undermines the fundamental rights and principles of the trade union movement and international solidarity. This incident is one in a long line of anti democratic attacks in Germany and across the world on individuals and groups who speak out for Palestine and more specifically on those who support the legitimate, non violent Boycott, Divestment and Sanctions (BDS) Campaign. The governments of Ireland, Sweden and the Netherlands, as well as Federica Mogherini the EU High Commissioner for Foreign Affairs, have already explicitly clarified that they consider advocacy for BDS to be part of the right of their citizens to freedom of expression. We have learned that German unions, including the GEW, welcomed and actively promoted the boycott of apartheid in South Africa in the late 1970s and 1980s. It would seem an opportune moment therefore, acting in the spirit of international solidarity, for the leadership of the GEW in Oldenburg and elsewhere to lead an informed discussion with its members about the aims and merits of the BDS movement. We ask the GEW to stand by the principles of the labour movement, in defence of freedom of speech and expression, and that it reconsiders the decision not to publish this article. We call upon it to publicly defend its own member, Mr. Glanz, against false allegations of anti-Semitism, This must be undertaken in the first instance to defend Mr Glanz, but also in order to prevent a very dangerous precedent being set and to protect the rights of all GEW members and others who wish to peacefully protest human rights abuses wherever those abuses occur. We ask that the GEW, and also the school authorities (”Niedersächsische Landesschulbehörde”), their spokespersons, relevant politicians and other decision-makers take all steps necessary to defend these basic democratic rights.